We discuss The Mummy below and there is a bit of news: it appears that Henry Cavill is joining Mission Impossible 6 and that includes most of the recurring cast; Tom Cruise as legendary hero Ethan Hunt, Jeremy Renner as Brandt, Simon Pegg and Benji, Rebecca Ferguson as Ilsa; what is unclear is if Alex Baldwin will return or if Cavill's character is taking the place of the character portrayed by Baldwin. The Aquaman film, part of the Justice League series, starring Jason Momoa, has been moved from its original October opening to a more auspicious December opening of 2018. Oh, and they are remaking The Matrix. At this point, it's just the first film, but who knows? 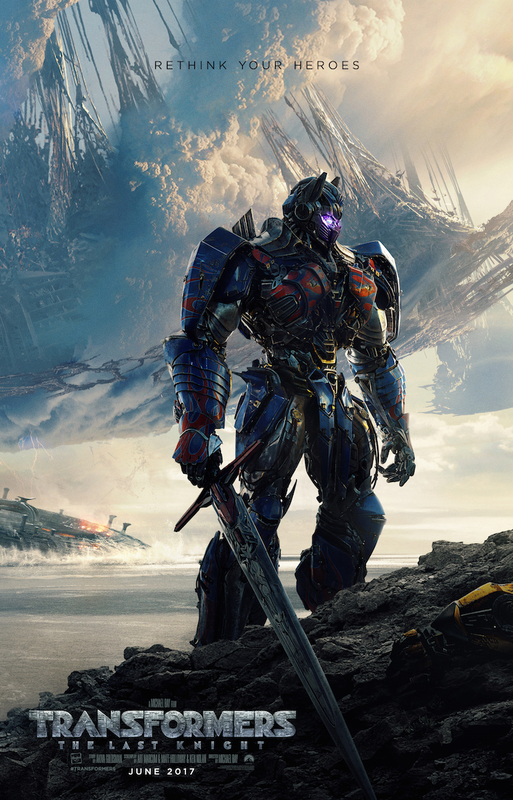 A word about The Transformers saga: watch it. Watch them all. I got lucky and found a DVD at Wal Mart the other day for just $12 that has the first three films on there (yea, I saw the first one, then missed the other two, and suddenly it was like Age Of Extinction and now it's Last Knight, so I have some catching up to do). 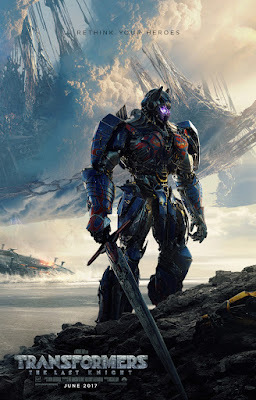 The reason is, there are going to be at least two if not three more Transformers films in the series and that doesn't even include the stand-alone Bumblebee film coming out in 2018, so you want and need to be caught up on this, because in The Last Knight, the first three films come together and you need to understand who is who and why things are going to happen as they do. So, if you have a free weekend, get caught up. Actually, first, I am going to make you watch a trailer, because it's the perfect not-so-metaphoric-metaphor of what the Democrats have done to the country, and know they intentionally did to the country, then we will get to the cool stuff. Tell me that you see what's going on here? You do, awesome! Great job, that was the purpose! I know I pull in socialism and capitalism ad nauseam nowadays, but there is a reason for it, like, it's everywhere and we can't escape it and, as always, when something like this trailer comes along explicating the transformations so obviously, I want you to be reassured that I'm not just on a soap box. There is also this rather revealing article from the NY Times about how the world of documentaries are typically liberal, but are seeking conservatives to make documentaries and help "bridge" communication. Okay, next, another trailer for Transformers; The Last Knight, I can't wait for this film. The question is, why do they go "zero-gravity" at the point when the Mummy (Princess Amunet, I think that's her name) first reveals herself? Because she's going to cause all the "laws of reality" to be suspended, which is what feminists do, where men have to pretend to be women, and people who excel at things have to pretend to be mediocre so women don't get offended, which is what little Izabella in the Transformers trailer isn't doing. P.S.--I hope to have the captions for John Wick Chapter 2 done Sunday night; I will post a note letting you know when it's finished. Sorry, as always, for the delay! I will go over the Vortigern poster from King Arthur Legend Of the Sword when we analyze the second trailer!